Recently Jodi & I completed this interview together, to celebrate the launch of Jodi’s new Soulful Life Sanctuary and I thought that you might like to be in on the conversation. Enjoy! Q: For those who are meeting you for the first time, please tell us more about yourself. A: If you’re just meeting me for the first time, I would love to start by saying hello. I’m grateful that our paths have crossed, and I look forward to being on this journey together! I live with my heart on my sleeve. I’m sensitive, loving, sappy, authentic, and soulful. I’m an inspirational writer. I found my voice just a few years ago when I connected with my soul, and we’ve been non-stop ever since – writing books, blogs, columns, and ecourses! It fills me up to connect with others authentically and lovingly, which is why I love creating communities and sites that allow for this deep interaction. I live in southern Oregon with my super loving, always supportive, best friend/husband/soulmate, Dan Teck. We share our lives with three sweet cats: Biddle, Buncom, and Elsie. Q: You’ve just created the Soulful Life Sanctuary, and I would love for you to share more about it with us! A: I would love to! It’s been a dream of mine for quite awhile now, and I’m so excited that it’s here! The Soulful Life Sanctuary is a sacred community where we lift each other up and support each other in listening to our soul’s whispers. It’s a gathering of like-minded friends and a collection of soulful tools and resources to help you along your journey. You’ll be supported every step of the way by me, plus a dozen Soul Guides and a loving community of like-minded friends. It’s a place where we can slow down, share authentically, reconnect with our soul, and open our hearts to others who are on a similar journey. Q: What inspired you to create the Soulful Life Sanctuary? A: I created the sanctuary for a few reasons: to give each of us a sacred community where our hearts could share openly and expand with others who are on a similar journey, to create a loving space where we could slow down from all of the DOing and simply BE, and to bring together soulful tools to help each of us along our journey. I have found in my own life that it’s sometimes easier to disconnect from our true voice – our soul, our purpose, the deeper meaning of life – than it is to stay connected. Life gets so busy, we’re all driven by our to-do lists, and DOing sometimes seems to be given more priority than BEing. This is something that I’ve struggled with throughout my life, actually. I’ve accomplished some really great things through doing and pushing and achieving. And I’m so grateful for that. But I found that all of these achievements didn’t mean anything to me if I lost my connection to my soul and to the universe and to what’s truly important in my life. If I wasn’t present, grounded, or connected, I wasn’t able to enjoy these accomplishments. They felt hollow to me, and I couldn’t feel grateful for them. On the other hand, I found that when I was connected with my soul, to others, and to the universe, I could appreciate everything that happened in my life much more easily. It’s my intention that the Soulful Life Sanctuary will be a space for all of us to go when we’re ready to reconnect with our soul, connect with each other from an authentic space, and breathe a collective exhale. Q: Can you tell us more about what’s included in the Soulful Life Sanctuary? A: I would be happy to! The Soulful Life Sanctuary includes a supportive community, a virtual classroom/retreat center, and a set of tools/resources to help you live your most radiant, authentic, soulful life! •	Unlimited Sanctuary Access for 12 Months + Discounted Price for Life! – You’ll be able to pick and choose from a huge “buffet” of soulful offerings—from ecourses and live classes to blogs and forums…and so much more! Plus, you’ll be grandfathered in at the super-low earlybird price for as long as you stay a member, regardless of future price increases! •	Sacred Spaces and Soul Guides – Over a dozen virtual “rooms” focused on soulful topics such as Spirituality, Wellness, Abundance, Soulful Parenting, Self Love and Relationships, and much more—led by the Soul Guides. •	Ecourses – You’ll have instant access to ALL of my ecourses—including the popular “Coming Back to Life” course and many others (eight available immediately, with at least three more being added within the year)—on topics including soulful journaling, relationships, soulful business tips, gratitude, manifestation, daily spiritual practice, and much more! •	Live and Archived Classes – You’ll get free access to online classes on a wide variety of topics—ranging from intuitive readings to life coaching and nutrition. You can attend live or through an archive, which you can access at any time during your membership. You can even apply to teach your own class! 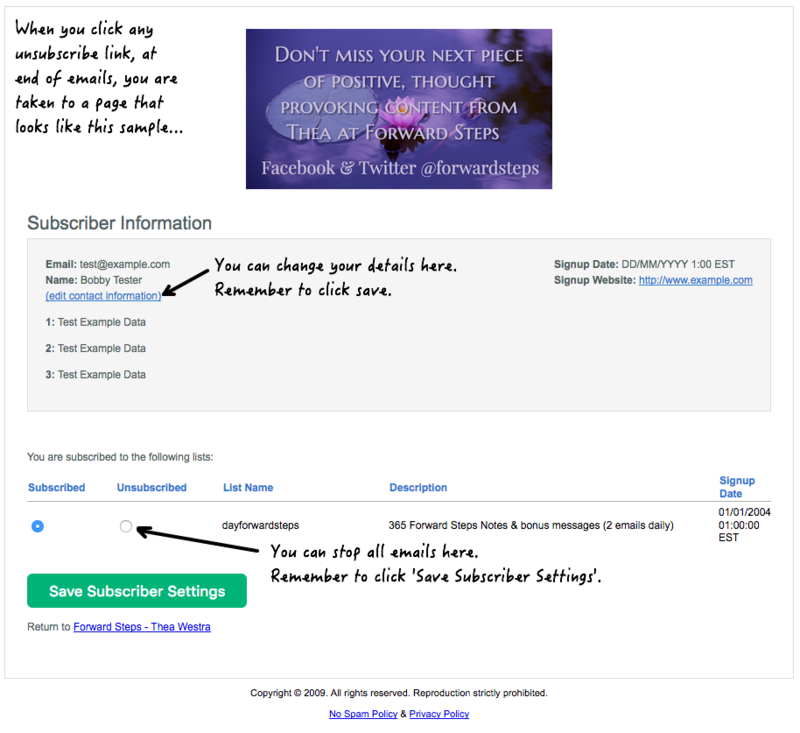 •	Private Facebook Community – As a member, you’ll have access to the sanctuary’s private Facebook community, which is a safe space for you to connect with the other members and also myself and the Soul Guides. •	Your Own Personalized Page – You’ll be able to create a personal page where you can upload photos, share about yourself, see your latest activities, and read and respond to comments that other members have left for you. •	Soulful Blogs – As a sanctuary member, you can share your soulful wisdom through your blog, and you can also be inspired by reading others’ blogs! It’s a great way for us to connect and learn from each other. •	Sanctuary Shop – You’ll have access to a wide variety of soulful gifts and services—all from sanctuary members. You can also apply to have your products/services listed in the shop, where you’ll be able to reach thousands with your own soulful offerings! •	Optional Monthly Skype Sessions and Facebook Parties – As a sanctuary Member, you’ll also have the option to be part of the Soul Shakers’ community, which includes monthly Skype sessions (in groups of 9 or fewer), as well as a private forum where we can connect more deeply and support each other in reaching our dreams authentically and soulfully! More than anything else, though, the Soulful Life Sanctuary is a sacred space where you can slow down, listen to your soul’s whispers, and connect with that deepest part of yourself and others! It’s a place where you can reconnect with that beautiful light that shines within you and share it with the world. It’s a place where you can come home to your true self. Q: Who is the sanctuary for? •	feeling called to slow down and reconnect with their soul, their purpose, and their place in the world. •	tired of feeling like they’re walking through life alone and are wanting to connect with others who are on a similar journey. •	excited to immerse themselves in a loving community that offers soulful tools to help them become more grounded and connected to both the physical and spiritual world. •	ready to show up authentically and openly, ready to get real (with themselves and also with others), and ready to be in a supportive, safe space where they can take off the mask and share their true self. •	open to spiritual growth and want to feel free to explore through ecourses and live classes. •	ready to step into their soul’s purpose (or at least explore what that purpose might be). •	ready to give themselves permission to Do less and Be more. •	ready to love and be loved, to give and to receive, and to stay open to the magic. Q: I see that you have invited 12 Soul Guides to join you in the sanctuary. Can you please share more about them and what their role in the sanctuary will be? A: Sure! I used to be someone who tried to do everything on my own. And not only was it a lonely way to walk through life, it also was exhausting. When I opened up and began to live a soulful life, I realized that inviting others to be on the journey with me felt so much better. I saw that we are much more powerful together than we are alone. And my heart was happy to have others to share my experiences with. This is why I invited these beautiful souls to join me when I created this sacred community. I chose people who were already living their soul’s purpose and were already serving others in loving ways. Each of the guides is an expert in their area, and I’m so happy that they will be sharing their wisdom with all of us. They each have a sacred space inside the Sanctuary where they will be supporting the members. Q: What does soulful living mean to you? A: For me, it means being connected to our soul – to that magical, never-ending part of ourselves who is so wise and loving. It’s so easy to walk through life feeling disconnected, and so this would be the first part of living soulfully – plugging back in. It also means that we’re open to giving and receiving love, and we’re open to allowing ourselves to embrace our life. We open to the possibility that the world is for us rather than against us, and we see our life through a lens of expansion and possibility. We open ourselves up to miracles. It also means living authentically – bravely sharing our true selves with the world – letting our uniqueness shine through. It means that we come back to the present moment – over and over again. We know that it’s natural to leave it (we’re human after all), but we also know that we have the power to come back to it – to get into the habit of grounding ourselves and breathing this exact moment into our hearts. Living soulfully means living a balanced life. It means taking time for ourselves as well as supporting others. It means saying yes to our soul’s whispers – acting on them and honoring them, even if we are afraid (especially if we are afraid). I believe that a soulful life is a life filled with so much love. Q: How has your life changed since you started paying attention to the whispers of your soul? A: Wow – it’s changed in so many ways! I used to be so disconnected from my soul that I didn’t even remember I had a soul, much less listen to what it whispered to me. It’s only been a few years since I opened up to this part of myself, and everything has changed. I used to be very mistrusting of others, and living soulfully has helped me to move through life trusting others and being open – assuming the best rather than fearing the worst. The lens that I see the world through has changed – it’s now loving and filled with possibility rather than fearful and cynical. My world is now expansive rather than constricted. And I’ve found that what I focus on becomes my reality – we’re truly that powerful. So if I focus on love and gratitude, I automatically am going to attract more love and gratitude into my life. I am awake now rather than walking through life feeling numb. Because of this, I feel everything – the good and also the bad. But I feel alive, and I wouldn’t trade that for anything. I get to spend my days sharing from my soul through my writing and in my communities, which is so magical. My soul has led me to such a beautiful life, and I will continue to put all of my trust and faith into this wise part of myself. I know that it knows more than I ever will, and I’m so grateful that we all have this special gift to tap into. Q: What are the benefits for people who join the sanctuary? A: Oh my gosh, there are so many! First, I would say that the biggest benefit for anyone who joins is to know that they are a part of a loving community of like-minded souls where they can show up authentically and soulfully and be completely supported and accepted. Second, joining means that you are letting your soul know that your connection to this wise part of yourself matters to you, and you are committing to making space to honor and expand on this connection. The more you make connecting with your soul a regular part of your life, the easier it will become and the more benefits, love, and wisdom you will receive from it. Third, you’ll have access to so many tools to support you in reconnecting with your soul, slowing down, and embracing your life. You’ll receive access to all of my ecourses immediately when the sanctuary opens, plus there will be classes offered frequently, which are free to the members! Q: Can you share one way that you would suggest we can begin connecting with our soul? A: Definitely! Our soul oftentimes speaks to us in whispers, and the only way we’ll be able to hear it is to slow down, get still, and listen. So I would suggest scheduling some “soul time” each day – time away from the to-do list, time away from others, time where you can be still and simply BE. It doesn’t have to be a huge amount of time either – just a few minutes is sometimes all we need to ground ourselves enough to hear our soul. I’ve found that doing this regularly creates space for magic. It really is that easy. Q: I saw that you’re offering an amazing bonus package worth over $800 for everyone who signs up by July 31st – can you tell us more about this? A: I am beyond grateful to all of the sweet souls who have donated their products/services for the sanctuary’s launch! I’m just blown away by their huge hearts! To celebrate the grand opening, everyone who joins the sanctuary by July 31st will receive this bonus package, which is worth over $800! It includes ecourses, meditations, ebooks, and so much more! Q: That’s great! I also saw that you’re offering a special discount for everyone who joins the sanctuary in June! Please share more about that! A: It’s true! The sanctuary opens on July 1st, and I wanted to kick it off early with a special discount for everyone who signed up now! So I’m offering $100 off the regular price all month long! You’ll receive over $1300 in goodies when you join + over $800 in bonus gifts if you’re one of the first 50 to sign up. It’s pretty amazing, and I know that your soul will be so full when you dive into all that’s included! I can’t wait to see you inside! Q: This sounds so wonderful! Where can everyone go to learn more about the sanctuary and sign up? Q: Great! Is there anything else you would like to share? A: I know that we’re all busy. I know that life seems to be speeding up. I know that we think we don’t have time to join one more thing or put anything else on our plate. I get that – I really do. But here’s the thing: all of these to-dos mean nothing if we aren’t connected to our soul, to ourselves, to each other, and to our purpose. I don’t want any of us to spend even one more day running around and saying that we’ll put ourselves on the list “someday.” The time truly is now. You’re worth slowing down for. You’re worth taking time to get grounded. You’re worth living a life that feeds your soul and brings you joy. And it’s up to you to say yes to yourself and yes to your soul. I can’t wait for you to join me in the sanctuary. We’re going to have so much fun together!